SANTA MONICA, Calif. (August 14, 2018) – Santa Monica’s walkable neighborhoods and celebrated outdoor retail destinations make it a shopper’s paradise, all set near one of Southern California’s most iconic coastlines. Honoring the city’s laid-back spirit and wealth of options, Sunset Magazine recently named Santa Monica the best “Window Shopping Mecca” in its 2018 Travel Awards. Santa Monica was selected by the Sunset editors based on the relevance to their audience, newsworthiness, uniqueness, aesthetic appeal, convenience and feasibility. 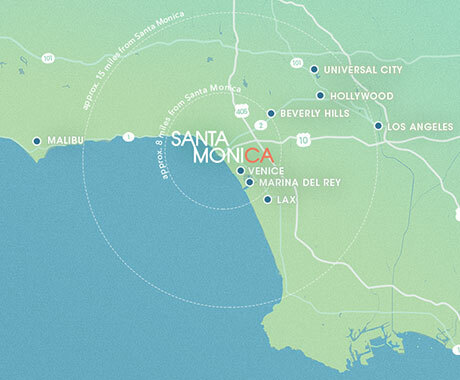 With eight distinct neighborhoods, the Santa Monica shopping scene covers the spectrum, from downtown’s open-air Third Street Promenade and Santa Monica Place, to upscale boutiques along Montana Avenue and the eclectic retail mix on Main Street and Pico Boulevard. Shopping focused services such as the concierge service at Santa Monica Place even deliver purchases to shopper’s hotel rooms, making it easy to explore attractions such as the soon to open Cayton Children’s Museum by ShareWell shopping-bag free. While Santa Monica’s year-round warm weather and ocean breezes provide the ideal conditions for window-shopping, the true magic happens inside the stores as the city is home to inventive retail concepts. Read on for some of the buzz-worthy shops to pop into during your next visit. Chris + Mary is a specialty shop on Pico Boulevard, the lively strip connecting Santa Monica to Downtown Los Angeles that offers below-the-radar shopping finds and unique art galleries. Founded by husband and wife duo Chris and Mary, their namesake store strives to keep the art of handmade/small batch alive featuring sweatshop-free and ethically-sourced gifts. Santa Monica’s Farmers Markets are simply part of the healthy Santa Monica lifestyle. Health-conscious Angelenos and quality-conscious chefs rely on farmers markets weekly for stocking their kitchen with the best locally grown produce. And no city meets the demand better than Santa Monica with four bountiful options every week, year-round, in three different neighborhoods. Watch out for special farmers market events celebrating seasonal favorites this fall including the annual chili roast, all you can carry pumpkin patch and pumpkin decorating event. ZJ Boarding House on Main Street started as a hole-in-the wall surf and skateboard shop in 1988 and remains a favorite of local surfers and skaters today. Located just a block and a half from the beach, ZJ Boarding House has surfboards, accessories and apparel as well as wetsuit and board rentals for visitors. ZJ’s, as it’s known to locals, has grown into a superstore with Billabong and RVCA sister stores next door. 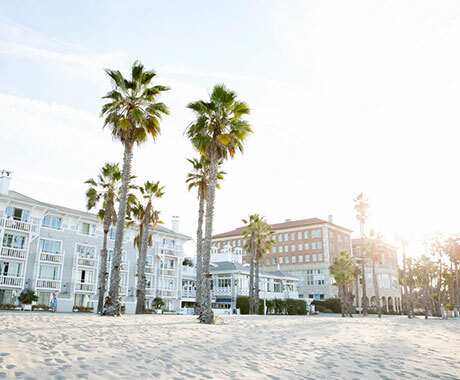 CAMI AND JAX is Santa Monica’s go to shop for getting beach ready this summer with a wide array of bikini styles and matching rash guards for surfers. Located on Montana Avenue, a tree-lined luxurious shopping district stretching for ten blocks, the high-end swimwear store was created by sisters from Hawaii, designer Jackie Brady and pro-surfer Camille Brady. CAMI AND JAX has a loyal following among the west coast surf-set and jet-set alike. FP Movement, located on Main Street, is the latest offering from American bohemian apparel company Free People. Featuring performance-ready activewear, beyond-the-gym staples, and a hand-picked assortment of nourishing supplements and elixirs, the store also offers weekly fitness classes and wellness workshops led by local professionals. Their rich programming brings the community together in the spirit of lifting each other up and always moving together. Larissa Love Cosmetics is a home-grown boutique that is known for its luxurious bath and body products on Montana Avenue. Founded by Larissa Love, a longtime resident of Santa Monica, her cosmetics line features unisex bath and body products, women’s gifts and accessories, and a tea room. After recovering from a severe skin burn as a child, Larissa began a quest for natural skin products. Not finding a complete and effective product line, Larissa launched “Larissa Love” in 2005 using vegan, organic, parben-free, and sulfate-free ingredients that are cruelty-free. Ron Robinson is the Santa Monica flagship store of Robinson’s eponymous retail brand, which began at Fred Segal in 1978. The lifestyle emporium’s offerings span home and gift items, apparel, activewear, and more – an in-house florist and coffee shop are also on tap. The stores sleek space doubles as an event venue for a range of activities such as morning yoga on the outdoor patio. Anthropologie, the Third Street Promenade location of this American clothing retailer steps up the game with “At Home with Anthropologie,” a bespoke design center. Anthropologie’s home designers work with shoppers to create décor suggestions based on their unique lifestyle and goals, presenting a just-for-you curated mix from the Anthropologie home collection. b8ta, the tech-product retailer, operates its award-winning flagship store at Santa Monica Place. Inside the store you’ll notice that none of the products are inside a package, rather laid out to try. B8ta’s unique model allows customers the chance to demo everything in the store before purchasing, featuring an array of new products that aren’t available in any other physical retail space and places to play including audio testing rooms and a VR room. West Elm, the modern furniture and home décor retailer, moved into a new 24,000 square-foot space on 4th Street. Launching new retail concepts as part of the stores commitment to supporting local artist and markers, West Elm Santa Monica is the first store nationwide to host an in-house, small-business residency program. The new store is also offering customers design crew services, a flower shop, a public outdoor patio and monthly programming.